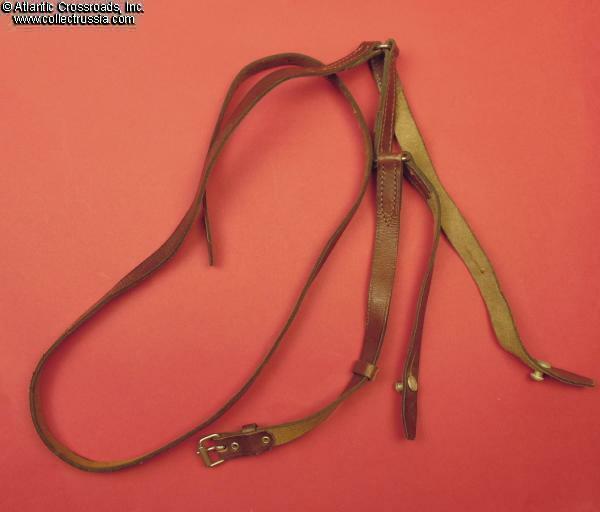 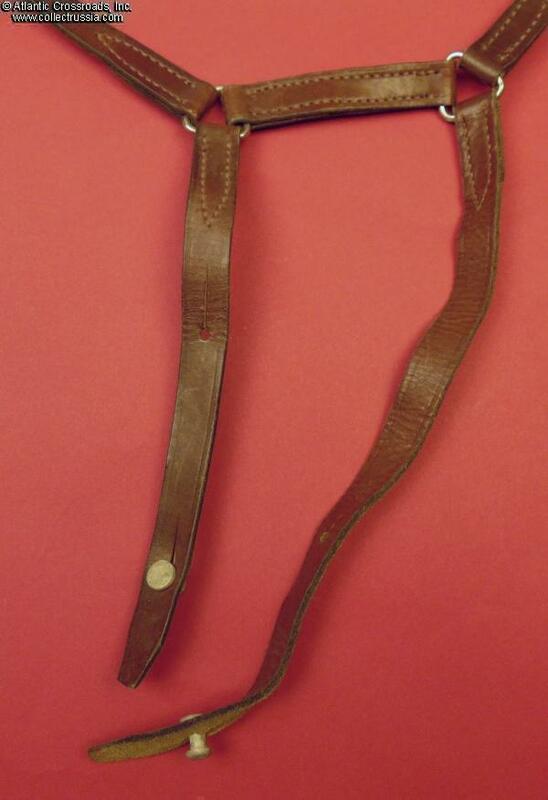 Cavalry sword harness, circa 1930s	. 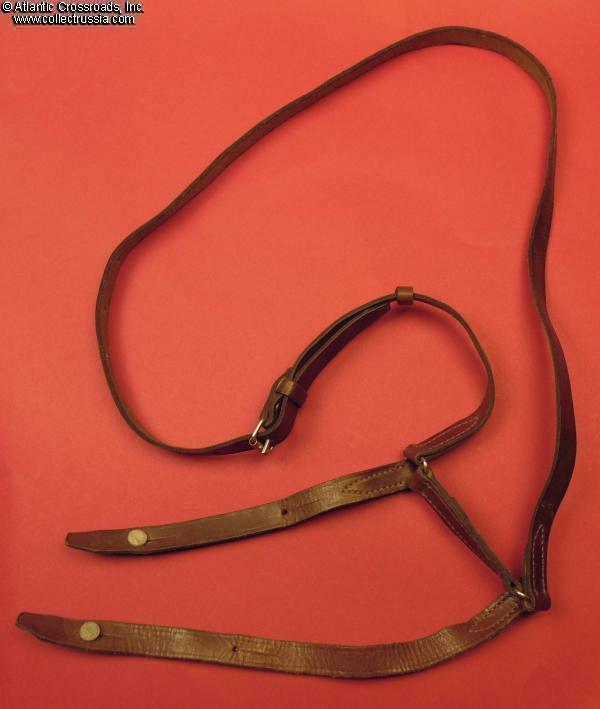 Standard set for a Soviet cavalry shashka. 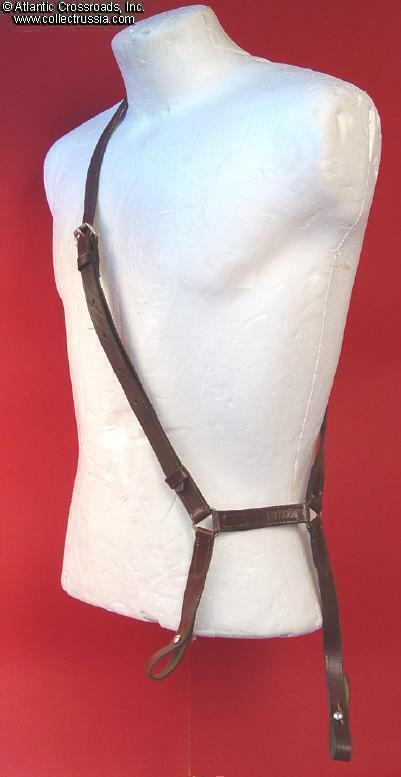 In quality chocolate brown leather with nickel-plated steel hardware. 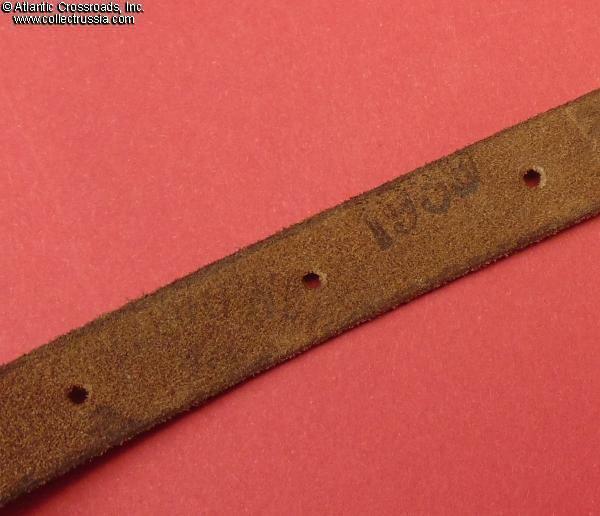 Faint maker mark to the back. 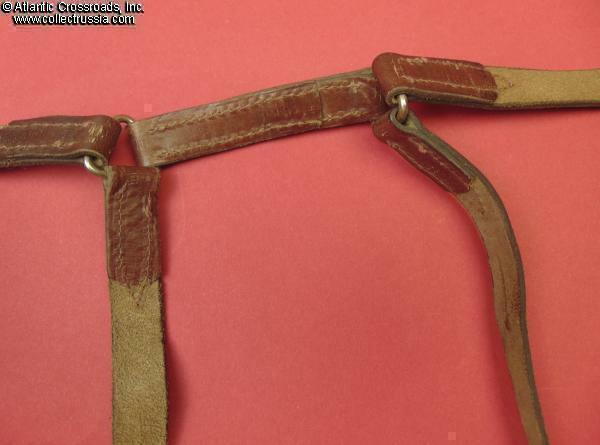 Excellent unissued condition with solid, healthy leather. 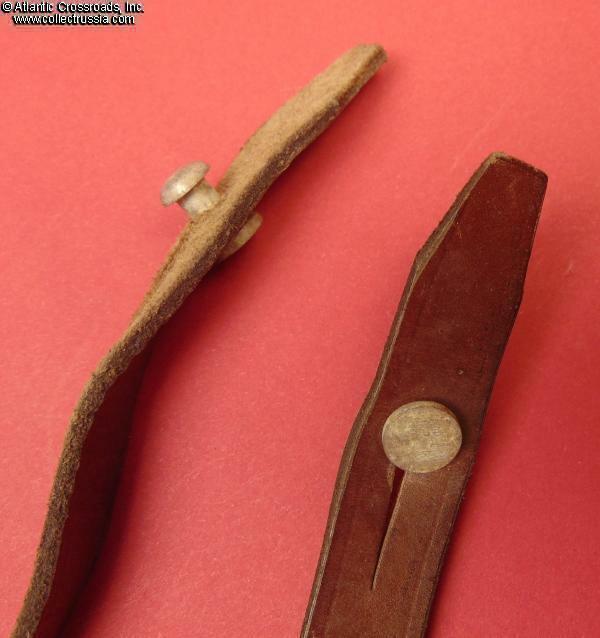 Photo excerpt from the "Red Army Uniforms 1918 -1945 in Color Photographs", by Shalito illustrates method of wear.